IT has often been said that there are two incompatible animals when it comes to mining – engineers and environmentalists. But is that true today? Or can they work together? Personally, I believe that Zinc International’s project to mine the Gamsberg zinc deposit shows that environmentally sensitive mining, even in a global biodiversity hot spot, can benefit not only the people who will work on or be affected by the new mine but, also, the delicate environment that is home to the deposit. But doing it has involved a steep learning process for us. Gamsberg is located in the Northern Cape where mining is in decline, in the Succulent Karoo Biome of the Northern Cape, home to 6,000 different desert plant species of which 40% are unique. And the Gamsberg site is also set in the Bushmanland Centre of Endemism with its 397 succulent species of which 16 are endemic and four restricted. Protecting this fabulous and rare biodiversity has perforce become our priority, responding to the concerns of environmental groups opposed to mining and working with expert environmental groups such as the International Union for Conservation of Nature (IUCN), among the world’s oldest and largest global environmental organisations. Let me be frank, were we or any other mining company not to collaborate with environmentalists, pressures would remain throughout a mine’s life. There is value therefore in upfront collaboration. With this motivation, we have tackled the challenges of environmental protection and restitution on four fronts – avoid, minimise, remedy and offset. First, there is avoidance of unnecessary damage by locating the open-pit, the waste dump and processing plant away from areas of particular ecological sensitivity. But where this environmental protection can benefit from back-up, our next step of minimising mining’s effect has been to ensure that fauna and flora are protected. We have fenced off particularly sensitive areas and are planning and constructing waste dumps and the tailings dam to, as far as possible, prevent run-off or atmospheric pollution. Rehabilitation is, of course central to our mine plan – concurrent or post-mining rehabilitation. 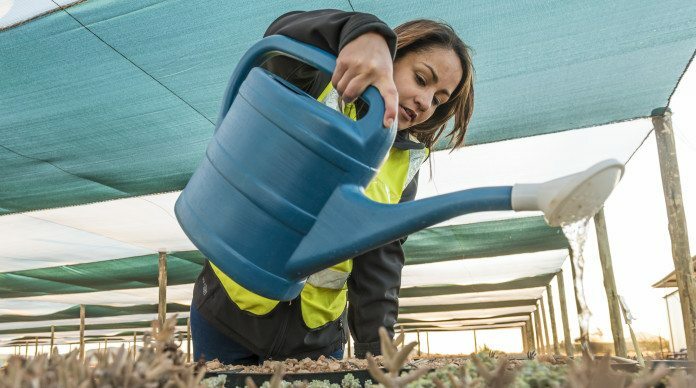 And for this, and with the help of experienced regional botanists, we have removed and translocated almost 80,000 plants of a multitude of species as well as some 350,000 flower seeds to special storage facilities or to such environmental centres as the Karoo Desert National Botanical Garden and the South African National Botanical Institute. These plants will be protected and prepared for eventual reinstatement. At this point let me tell of a particularly exciting development. During the classification removal of plants, our botanists discovered a hitherto unknown species – Anacampseros retusa. Had it not been for the Gamsberg project, might the plant have remained unknown to mankind for years? The Northern Cape’s vast natural resources are facing challenges of biodiversity loss as a result of transformation and degradation of natural habitat. With this firmly in mind we have committed to make every effort to preserve, conserve and manage any biodiversity loss associated with the Gamsberg Project. We have responsibly entered into a biodiversity offset agreement with the Department of Environment & Nature Conservation (DENC) and have made considerable progress in achieving our offset commitments. But none of this, as clear as it sounds, has been achieved easily. Lessons were learned. First was that we needed to establish internal environmental expectations such that all of the company’s divisions were “on-side”. The same would be needed as we established our relationship with IUCN and the local environmental groups who had opposed our mining Gamsberg. Persuading people within the company to design operations according to what is best environmentally rather than to design operations according to what is best technically or financially remains work in progress. These attitudinal changes cannot be made to happen overnight. But happening they have to, and happening they are. Deshnee Naidoo is CEO of Zinc International, a subsidiary of Vedanta. Please desist from posting advertorials dressed up as copy. It’s a sure sign of a newspaper or website in terminal decline. The article is in a section called Metal Heads. Metal Heads was created to allow industry participants to have their two cents’ worth. If you look at other submissions in the section, you’ll notice they are all written by market participants e.g. Mark Cutifani, Niel Pretorius, Peter Leon. The rest of the site is produced by journalists.